So many fail to read HEBREWS 10:25 IN CONTEXT and so misapply it to either puff themselves up and/or to beat others up with it. (i.e., if you don't attend Sunday services, you're being disobedient to God's Word). what is the situation and/or reason for the instruction / teaching / exhortation. Studying the Bible using this method can really open up the text and offer a greater understanding than one might get from a cursory reading of the text. When Jesus taught using parables, His purpose was to bring home a point via an illustration. Sometimes, even his disciples failed to grasp the point of certain parables, so they would ask Jesus to explain it to them (cf; Mark 4:1-34). The better we understand the culture, the people, and the situation being addressed, the more we can grasp from the passage we are studying / reading. This brings me to the "letter" to the Hebrews. Or, as David Stern, author of both the 'Complete Jewish Bible' and the 'Jewish New Testament Commentary', titles it; "To A Group of Messianic Jews". Even though the author of the letter to the Hebrews is unknown, to whom the letter is addressed, is plain; "To believers in Yeshua who are Jewish"
Clearly it [the title] is meant to indicate that the book concerns itself with topics of interest to believers in Yeshua who are Jewish -- the cahanut ("priesthood"), the sacrificial system, angels, Malki-Tzedek (Melchizedek"), Avraham (Abraham), Moshe (Moses), the Israelites in the wilderness, the biblical covenants, the Tanakh's men of faith, the role of Torah in the New Covenant, and so on. More specifically, the author wrote to a particular community of Jewish believers whom he knew well and whose spiritual condition he monitored (5:11-12, 6:9-10, 10:32-34, 13:18-24). 23 Let us hold fast the confession of our hope without wavering, for he who promised is faithful; 24 and let us consider how to stir up one another to love and good works, 25 not neglecting to meet together, as is the habit of some, but encouraging one another, and all the more as you see the Day drawing near. By reading this passage in context, keeping in mind who this letter is addressing, several things become clear. 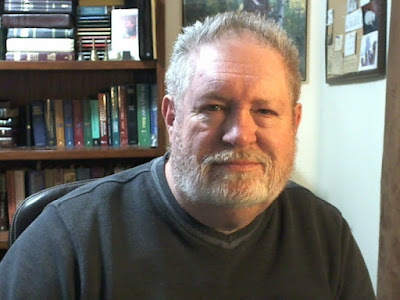 The author cares deeply about the faith of those to whom he is writing. He wants them to persevere in their faith. He desires that they genuinely love and care for one another. That they do not forsake [give up] meeting together and encouraging one another. Note that there is no directive to meet at a certain time or a certain place. 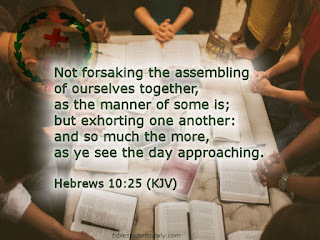 There is no instruction as to how frequent the gathering together (assembling together) should take place. 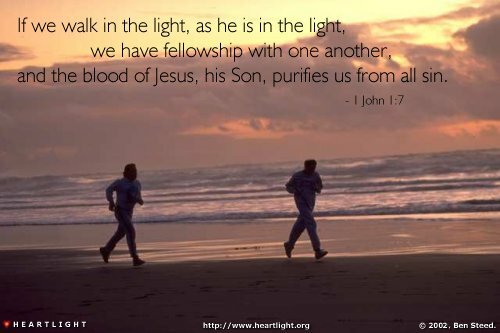 The only thing that is brought forward is that they are to consider how they can "stir up one another to love and good works" and to encourage one another "all the more as you see THE DAY drawing near." Now keep in mind that "when" this letter was written, the Messianic Jews had been attending synagogue prior to their new-found faith in Jesus. They didn't have "church services" like we do today. This was an underground movement that was highly despised and persecuted by both the Romans and the Jewish "orthodoxy". [Remember how Saul used to go after believers in Christ prior to his conversion?] Thus the admonishment to persevere in the faith and to love and encourage one another as much and as frequently as possible. 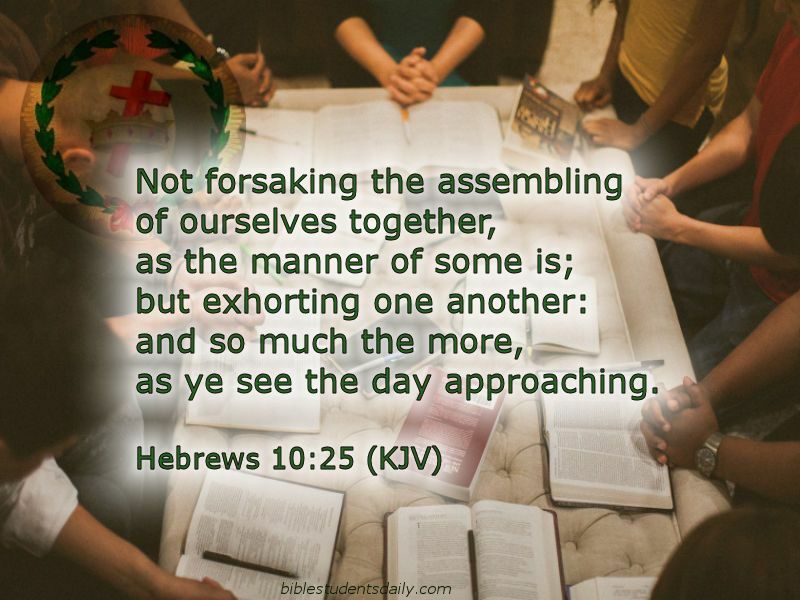 There is no way Hebrews 10:25 is an admonition to attend church services. Nor is it a warning that failure to do so would be tantamount to cutting yourself off from God. 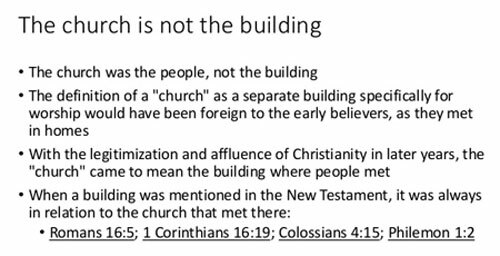 Yet people have been using this passage like a sledgehammer to brow-beat and guilt-trip people into attending institutionalized church services. My wife and I used to attend church services faithfully. We actively served in many ways. It was good training and much growth took place. But the training and the growth did not come from dutifully attending services. It came from living out the instructions given in Hebrews 10:23-25. We no longer dutifully attend institutional church services and yet we still fulfill everything in those verses. But today we do it in the freedom that comes from Christ, not under the burdensome direction of those who would quench the work of God's spirit, by telling us how we can and cannot be of service. There is accountability without the counting of heads. There is meeting the needs of others without first having to pay the salaries of a church staff and all the expenses that go into maintaining a building and a 501(c)3 non-profit organization. There is much growth "in wisdom and in stature" among us. God is worshipped and praised and glorified WITHOUT a "worship team" playing loudly and singing empty, repetitious songs that are designed to make the worshippers feel good about themselves. We understand that there is only one God, the Father, and one Lord, His Son. We don't have anyone telling us that if we don't believe in a Triune God or a pre-trib rapture we're going to hell. Or that we must speak in tongues or tithe 10% of our income, etc. We are like the first believers. We stick to what is written and we don't read into the text of the Bible nor do we seek to extract from the Bible that which is not clearly stated in the text. Our focus is on Christ and serving him, instead of the doctrines of men. We love the unlovely and even those who would have us believe that we've got it all wrong and are in danger of eternal damnation.